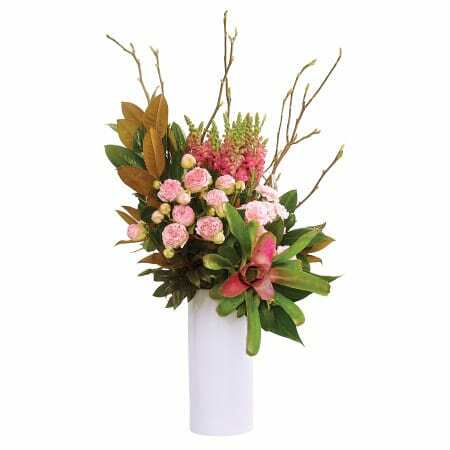 Our luscious pink tropical vase is an elegant, tall design in a white ceramic vase. It is ideal for corporate events, office receptions and special occasions when a wow factor is required. 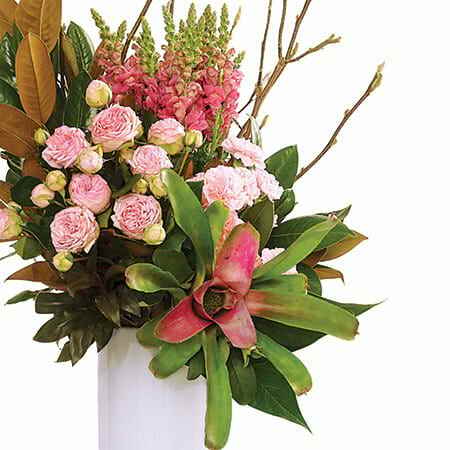 Using long stem premium pink roses, an abundance of snapdragons, tall seasonal branches and a tropical bromeliad feature, this flower arrangement is contemporary and stylish. Order by 1pm Monday to Friday or by 10am Saturday for same day Sydney flower delivery. Questions? Give us a call on 1800 66 66 46.